Seven people were killed and many more injured in a handful of crashes over Labor Day weekend, capping off the end of what authorities refer to as the “100 Deadliest Days of Driving.” Each year, the period between Memorial Day and Labor day is the most dangerous time to be on the road in terms of traffic fatalities. This year saw the highest number of traffic fatalities on Idaho roadways reported in the last five years. 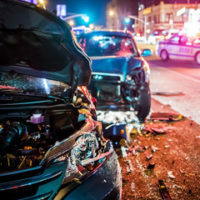 Continue reading for more about the alarming trend, and contact a seasoned Idaho personal injury lawyer for help if you have been injured in a traffic accident. Despite snow-free roads and clear skies, authorities consistently report that the period between Memorial and Labor Day tends to have the highest rate of traffic accidents as compared to the rest of the year. This year, Idaho State Police stated that they responded to a fatal accident nearly every single day of the 100 day period. There were 101 traffic fatalities during this period, 10 more than last year and the highest number for the last five years. As of Labor Day, there had been over 160 deaths total for the year to date. In 2017, there were 244 total traffic fatalities, 37 percent of which happened during this summer period. 2018 is thus seeing an overall increase in traffic fatalities, and the summer time is just as disproportionately deadly as it has been in recent years. Labor Day weekend alone saw several fatal motorcycle and auto accidents. A 57-year-old Cortland resident crashed his motorcycle on state Highway 31 near Victor. Two Mountain Home residents, 42 and 43, died in a motorcycle accident on Interstate 84 near the Sand Hollow Exit. A 26-year-old Twin Falls man suffered a fatal car accident in Twin Falls City after failing to yield to a red light at an intersection and was then hit by a pickup truck. These are just a few of the accidents that led to seven deaths just that weekend. While the variety in the types and circumstances surrounding these accidents suggests that there is no single cause, authorities crack down during the summer time, looking out for seatbelt violations, distracted drivers, and drunk or drugged drivers. Authorities noted that drowsy driving has become a much more significant causal factor in fatal accidents in recent years, joining impaired and distracted driving as one of the leading causes of traffic fatalities. Nationally, around 2.2 percent of all traffic fatalities were caused by drowsy driving in 2015, according to national statistics. During the summer, as well, there are more daylight hours and more people on vacation, leading to increased traffic and people driving faster. This combination of factors means that anyone driving in the summer should take extra care, avoiding any sort of distraction or impairment before getting behind the wheel. Authorities report that the biggest factors leading to accidents continues to be inattentive and aggressive driving. Anyone driving unsafely who causes an accident is open to liability for damage or injuries they cause. If you or a loved one has been injured in a traffic accident in Idaho, call the skilled and compassionate Twin Falls personal injury lawyers at Pedersen & Whitehead for a consultation at 208-734-2552, with additional offices in Boise at 208-336-2552.